I came across the talented Mindy Weiss, of Mindy Weiss Party Consultants based out of Beverly Hills, awhile back, and instantly fell in love with her "Two's Company" products offered on her e-store. 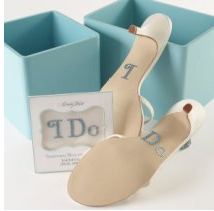 Mindy's e-store offers anything and everything related to newlywed living ("his and hers" gifts), weddings, bridal showers, and honeymoon gifts, such as: the "Lovebirds Nesting" Do Not Disturb door hanger, "Bridal Bingo" game, "You May Now Kiss the Chef" Bride Apron, and my favorite, the "I Do" Rhinestone Shoe Applique. I really like that extra touch of bling, you can never sparkle too much on your wedding day! What a great way to add in the good luck omen of "Something Blue" also! 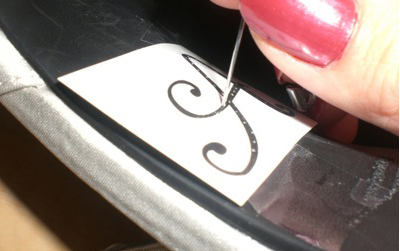 Mindy's shoe applique is currently unavailable on her website, but I have seen this product offered at many bridal boutiques and stores, and also around the Internet. 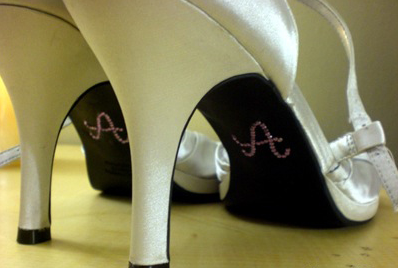 If you're a DIY kind of gal, check out this "Rhinestone Wedding Shoes" project on Do It Yourself Weddings. 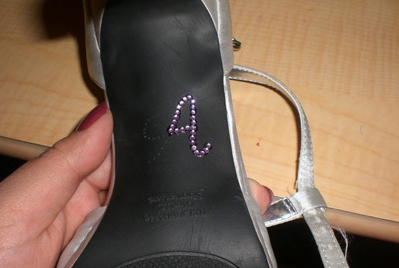 With a few simple steps, and a little rhinestone glue, you can have your own personalized wedding shoes. Step Two: Poke the outline with a safety pin, kind of similar to the pumpkin carving method! Step Three: Rhinestone the outline--place small glue dots along the border, then place rhinestones on the glue using tweezers. Michael's, or any related craft store, has a great offering of fabric glue and rhinestones. 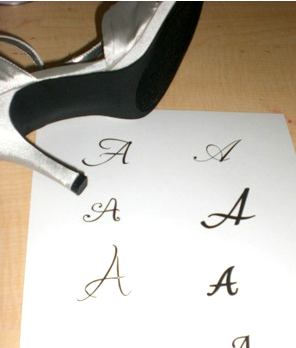 Step Four: Strut your stuff down that aisle with some fabulous, blinged out shoes! Rhine-stoned shoes will make for some awesome photo opps., for both engagement and wedding day pictures, with that discreet and sassy sparkle on your sole.